Eggplants are one of our favorite vegetables, but it’s hard to find a good variety of delicious preparations. We like baba ghanoush (roasted eggplant dip), and we like to put eggplants on pizzas, and we especially like fried eggplant pieces with marinara sauce. These options, along with a classic eggplant parmigiana, are all of our go-to recipes, and so we’re always happy to get new ideas for eggplants. So- there are more options than we thought we had for eggplants. Still! It’s always fun to find something new. 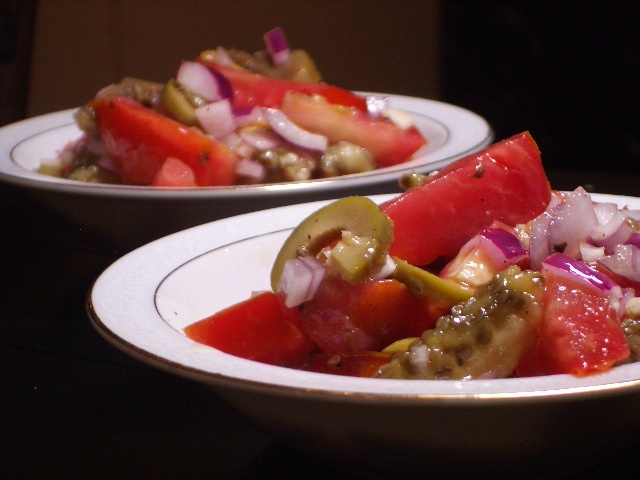 So, tonight for dinner- get an eggplant, onion, and tomatoes and make this salad to go along side whatever your main course is going to be. 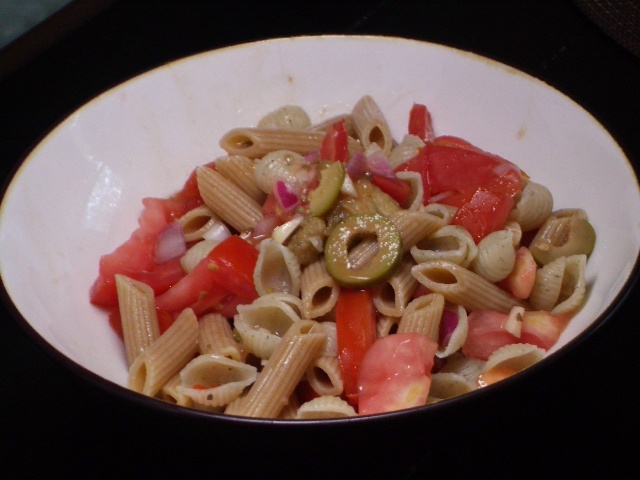 Then, tomorrow when you have leftovers, just combine the leftover salad with some pasta shells and some olive oil, and you’ve got a delicious and nutritious lunch!